It’s a well-known fact that where there’s fire, there’s always heat. Conversely, where there’s heat, there’s often fire. If your home is heated by a gas furnace, your home is actually heated by fire. When problems arise with a gas furnace, it may cause this fire to leave the containment of the furnace and rage through your home. It’s important to note, however, that even heaters that aren’t run on gas can burn a house down. A malfunctioning electric furnace, air handler, heat pump, or boiler could all get hot enough to ignite the space around them. Even something as simple as dust build-up may cause a heater to ignite. Of course, the fire could also be caused by a malfunction with the heater itself, such as an electrical issue. All heaters – even gas furnaces – have electricity running through them. If there’s a problem with your heater’s wiring, it may cause you or one of your family members to experience a dangerous electric shock. An experienced heater expert will be able to locate any potential issues with your heater’s wiring and get it fixed before it can cause you any harm. If you have a gas furnace, your home is heated by natural gas. If this gas escapes into your home, it can be toxic and even deadly. And if the gas builds up too much in your furnace, it could cause an explosion. A leak may be caused by cracked pipes leading to your furnace, a failed thermocouple, or another issue with your furnace. An HVAC technician can detect these issues before you turn on your furnace for the first time and keep this dangerous gas out of your breathing air. If you’ve already turned on your furnace and you detect a rotten egg smell, get out of the house immediately. That smell has been added to natural gas in order to alert people to the presence of this dangerous gas in the air. When natural gas burns, it produces carbon monoxide (CO2). Carbon monoxide is incredibly dangerous to breathe in, and unlike natural gas with its stinky additive, it’s completely odorless. A cracked heat exchanger or other heater problem may allow this dangerous gas to leak into your home. Because it’s odorless, this gas may sicken or even kill you before you even know it’s filling your home. Fortunately, a heater technician can examine your gas furnace to make sure that it’s working properly and that it won’t poison your family. No matter how old your heater is or what kind you have, it can malfunction. Heater malfunctions can lead to anything from reduced energy efficiency and breakdowns to fires and poisoning. To prevent any of these problems from arising, it’s imperative that you get your heating system maintenanced at least once a year. To schedule heater maintenance from a licensed HVAC technician, contact Cote’s Mechanical. 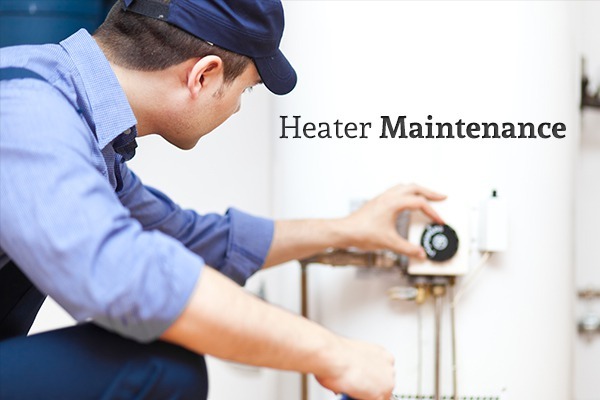 Their NATE-certified technicians can provide maintenance for any kind of heating system, and they provide 24/7 repairs for dangerous heater malfunctions.